C.S.I ltd is going from strength to strength offering excellent and professional service expected from the security industry for new and existing customers. Using the latest equipment we can keep your home or business secure for many years to come.. Here at Custom Security Installations, we pride ourselves on our quality and customer care, Fitting the latest up to date system tailored around you. We offer free no obligation on site surveys to design a security system right for you. With over 20 years of experience and knowledge, we can offer the best service in aiding our customers to choose the perfect security solution for protecting you, your family and your home. 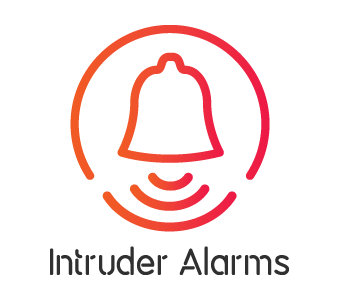 Our Intruder alarm installations are individually designed to suit your specific requirements or those of your insurer, covering domestic, commercial and industrial needs. Clients benefit from the high quality workmanship and state of the art technology that Custom Security Installations provide. Intruder alarms are designed to be flexible and easy to operate in all situations. In accordance with the fire regulations, any building that is used for business or entertainment, including homes with multiple occupancy (HMO) must have a properly fitted and maintained fire alarm and detection system. We can help you to find the right solution for your property. Our entry systems give you the ability to communicate with visitors before they enter your premise, given you complete peace of mind at home or at work. Custom Security Installations can help you with state of the art solutions that are tailored to all types of properties. Protecting your home, business and staff is a top priority. Closed Circuit Television surveillance is no longer a luxury - for many businesses and homes it is essential, whether as a deterrent or as a record of evidence. We provide specialist services such as car number-plate recognition, covert systems and full telemetry operations with pan, tilt and zoom controls. Custom Security Installations are well positioned to consult on and install full I.P. CCTV systems both small and large. Installing a safe is a great way of protecting your most valuable possessions and while keeping them all in one area not hidden in many secret locations with risk of losing and forgetting where items are. Custom Security Installations can offer various sizes and grades of safes depending on our customers’ requirements. Ever wondered what can be done to brighten up that dark side entrance, alleyway or driveway? Fitting a security light can add that feeling of security and safety. Here at Custom Security Installations we can offer lighting with motion sensor operation adding extra ease and peace of mind. We use the latest in LED technology which offers greater product life and lower energy consumption. Life isn't 9 to 5, so neither are we. On hand 24 hours a day 7 days a week. We are available at anytime of the day to help customers old and new. Booking can be made at times to work around you, during the day, evenings and even weekends. We are based in Waltham Abbey serving the whole of Essex, Hertfordshire and London.